Since 2007, we’ve assisted with literally thousands of moves, including residential and commercial moving jobs. 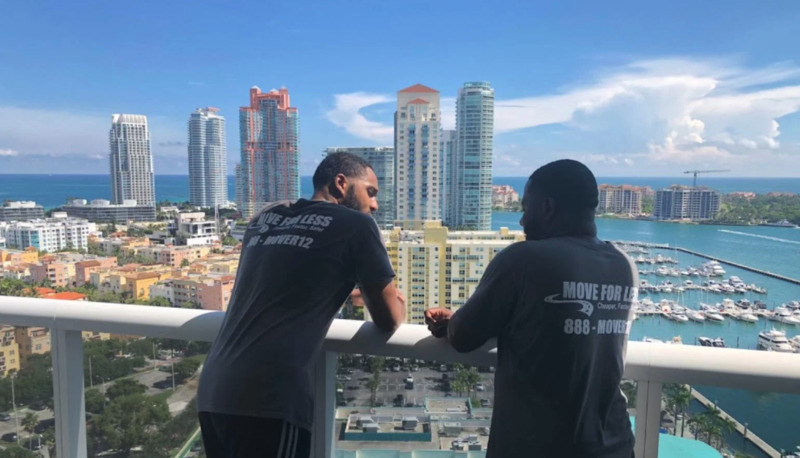 Since we are both a local and long-distance moving company, Miami Movers for Less has helped with moves all over the country. Customers choose us because we’re extremely good at what we do – and we do it for less than what our competitors charge. Professionalism is the hallmark of our business. We treat every customer with the respect they deserve. And unlike other movers and packers in Miami, we do it all with a smile. If you are looking for moving services, search for Miami movers, need packing or storage — we are here to help. We have been in business since 2007 and served thousands of happy customers. On average, we do about 300 moves per month and this amount increases with every year we work. Weather you have a studio in Miami Beach or a huge office on Brickell — we are here to serve any of your moving needs. Please give us a call so that we give you a comprehensive quote. Our qualified sales agents will be able to estimate and exact price needed to get you from your old residence or office to a new location of your choice. If you have to leave for work reasons, planning to come back or simply need to take a long vacation or delay your items delivery for a month or a year, we will be able to store your precious belongings in our secured storage facility.